Best Apex Legends characters - who are the best characters to play as in Apex Legends? Apex Legends has nine different characters to choose from, each with unique abilities, but who is the best for you? They all have their strengths which means that the best Apex Legends characters are... technically all of them. There's nine Legends to choose from in Apex Legends and they're all suited to different play styles. No one Legend is outright worse than another, and since it's the first battle royale game with "hero" style characters, the balancing is actually quite effective. If you're wondering which of the best Apex Legends characters to choose from however, read on. Apex Legends functions the same as most other battle royale titles at the core; pick a landing spot, loot up, fight to be the last player standing. The key difference is that there's no solo play though. There's not even a duos playlist. You can only play in teams of three, with only one of each Legend allowed per team. Overwatch players will understand the important of team composition, and it's just as important with Apex Legends. Let us guide you through the best Apex Legends characters so you know who to pick when you next play. For in-depth guides on each of the Legends, make sure you visit the links in each of the headers. Bangalore is your bog-standard soldier and perhaps the easiest to jump in and play with. Her tactical ability is a grenade launcher that deals damage and emits a considerably sized smoke wall simultaneously. You can use it to bombard enemies and obscure their vision, or fire it in front of you so you've got some cover to move. Fire a smoke grenade into Caustic's toxic gas and the enemies won't be able to see two feet in front of them. She's all about running and gunning, which means that her passive ability, Double Time, makes her move faster if shot while sprinting. It's not a small increase either; she'll get a serious pep in her step and dart about like The Flash. Finally, her ultimate is Rolling Thunder. If you're familiar with multiplayer shooters you'll be able to guess what this does. A barrage of missiles come raining down from the sky wherever she throws the beacon, but they take a few seconds to detonate so enemies are given a slim chance of escaping. Remember that scene from The Office where Michael tries to live in the woods and survive on his own? That's Bloodhound, but actually competent. Their tactical ability emits a short wave that will identify the exact locations of any enemies in the immediate vicinity. It doesn't cover a wide area, but it's great if you're unsure which building someone is hiding in when you're right outside, for example. Bloodhound's ultimate ramps the tracking up to the next level. For 35 seconds, their speed is increased, their vision turns monochrome, and any enemies are highlighted in red including their recent footsteps. They turns into a stone cold predator. When not in the "Beast of the Hunt" mode, they can identify looted objects and how recently a zipline was used, so you can slowly follow the tracks of any enemies. Unfortunately, Caustic is the first of two Legends locked at the start of the game, so you'll need to either save up your Legend Tokens or fork out real life money to get him. When you eventually use him though, he's all about the toxic gas. Caustic's tactical ability is a trap which can be thrown a few feet in front of you. When an enemy runs nearby, toxic gas will be deployed that deals damage to any enemies caught in the vicinity. The only setback is that the traps stick prominently out of the ground, so they can easily be spotted and shot. His ultimate ability is similar, except it's a throwable grenade and the area the gas covers is much larger. The most important compliment to both of these abilities is his passive though, which gives him "threat vision" on any foes foolish enough to wander through the gas. Gibraltar is the epitome of a tank. While his core health is of course the same as all the other Legends', his abilities are based around shields and protecting himself. Well, except for his ultimate which calls in a carpet bomb to cover an area with explosions. His passive essentially means you can't be shot in the head while aiming down the sights - unless they're behind you. A shield automatically pops up to protect Gibraltar's face while aiming in, which, as you'd expect, is helpful beyond belief. His tactical ability on the other hand is basically a dome shield; throw it down in battle and you've got a safe haven where you can't be shot. You can't shoot outwards either though, so if you want to shoot back you'll have to exit the huge bubble. If you're an Overwatch Mercy main, Lifeline is the girl for you. She's all about healing teammates, with a deployable "Drone of Compassion" as her tactical ability. Throw this down and teammates can gather round to heal up, much like a Cozy Campfire in Fortnite. If any friendly players get knocked down, Lifeline can also revive them faster while a shield wall gets deployed for protection. Did we mention she also uses healing items 25% faster? Her Care Package ultimate is incredibly handy if your team has just won a fight, but you've all come out bruised and battered. It calls in a drop pod "full of high quality defensive gear", from med kits and shield cells to new armour and helmets. Lifeline is the backbone for any team. For Mirage, you're also going to have to fork out some Apex Coins or Legend Tokens, but he's worth it if you like fooling your opponents and playing sneakily. Mirage is all about decoys; when he gets knocked down, a holographic version of himself is automatically deployed and Mirage himself gets cloaked for five seconds. Mirage's tactical ability sends a single decoy running wherever he's looking, which can easily confuse enemies in the heat of battle. For a decoy swarm, his ultimate is called Vanishing Act and "deploys a team of decoys to distract enemies while he cloaks." Unfortunately, the decoys just stand in a circle rather than running out and actually doing something, but it's useful all the same. Combining Mirage while he's cloaked with Wraith's Dimensional Rift can be lethal and is a highly effective way to escape from nearby enemies. The newcomer to the Apex Legends roster of characters, Octane is the high-speed daredevil. His speed rivals that of Pathfinder and Bangalore, but Octane can apply it at will with his tactical ability. The only sacrifice is a small amount of health, but since Octane's passive means he can regenerate health slowly, it's a small price to pay. Octane is fantastic at getting in and out of the fighting in a speedy manner, in a similar fashion to Wraith. When you throw down his launch pad ultimate, he can fly through the air like an eagle - for a brief moment anyway - before crashing to the ground behind enemies, catching them unaware. When you combine all three abilities and make the most of the natural environment at the same time, Octane can traverse the map much faster than most of the other Legends. His smaller hitbox size means he's not an easy target to hit either, so right now, Octane is one of the most powerful characters in Apex Legends. If you miss BT-7274 from Titanfall 2, then Pathfinder is the Legend for you. The robot has some hilarious and sarcastic quips that can be equipped, although they're not great for actually winning the game. For that, you're going to want to use his grappling hook. It doesn't have a long reach, but it's essential for scaling rocks and buildings to get to higher vantage points. With his ultimate, the zipline gun, he can also help his teammates. Just like the other ziplines on the map, it becomes a permanent fixture so anyone can reach areas that would otherwise be inaccessible. Great for diving into the middle of a battle or escaping the incoming ring. Pathfinder also has one of the best passive abilities. Called "Insider Knowledge", he can interact with any of the multiple survey beacons on the map. This will update his mini map - and the rest of his teams - with the location of the next safe zone. This means you can reach the next area and claim a spot to defend ahead of everyone else. In this early period, Wraith appears to be the most popular Legend due to her invisibility powers. Her tactical ability allows her to go "Into The Void", which is a fancy way of saying she goes invisible for a few seconds, albeit with a trail following her. Enemies can still guess at your location but they won't be able to tell exactly. Dimensional Rift, Wraith's ultimate ability, is similar. She can place down two portals that connect to one another, and anyone can travel between them; teammates or foes. If you can hide the two portal doors, then it's a great way to get in and out of a battle when you need to heal. They only stay for 60 seconds though. For her passive, an omniscient voice speaks to her to warn of any nearby dangers. This means that if you're defending a point at the end of the game but you don't know where the enemies are, you'll at least be warned when they're approaching. It can definitely help in getting the upper hand before your opponents know you're there. 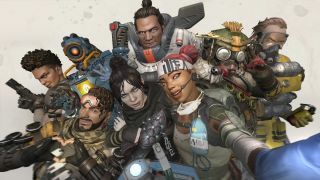 If you're still struggling, why not take our quiz: Which Apex Legends character is best for you?